You have below some answers to the frequently asked questions about your member account. We remain at your disposal for further information. To change your password select “MY OPINEA PANEL” in the menu, log in and then click on “My personal details”. Edit your details and then click “CONFIRM”. To change your email address you need to send us the following information via the contact form: your username, current email address and new email address. The modifications will take 48 hours and you will receive confirmation when the process has been completed. I’m having problems accessing my panellist account? To log in easily you need to remember that your username and password are case sensitive. Beware of invisible “spaces” which may be considered as characters before and after your username! What will you do with the personal details I’m providing? The Opinea Panel membership file is strictly confidential. 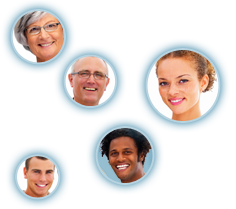 Opinea ensures that your personal details will never be divulged to a third party. Following product and services tests Opinea will produce market research studies but these will never contain your personal or nominative information. They will present overall results extracted from the compilation of completed questionnaires returned by the testers. In accordance with current regulations, you have the right to access and modify your personal details at any time. To edit your personal details you need to select “MY OPINEA PANEL” in the menu, log in and then click on “My personal details”. Don’t forget to confirm any changes made. To delete your account you need to select “MY OPINEA PANEL” in the menu, log in and then click on ‘Unsubscribe’. You will then need to confirm your wish to cancel your membership.